Jeff starts off the show with a are you serious moment regarding Ocasio Cortez’s Green New Deal. Fantasy world! Representative Shawnna Bolick discusses her push to stop towns and cities from enacting taxes on food. 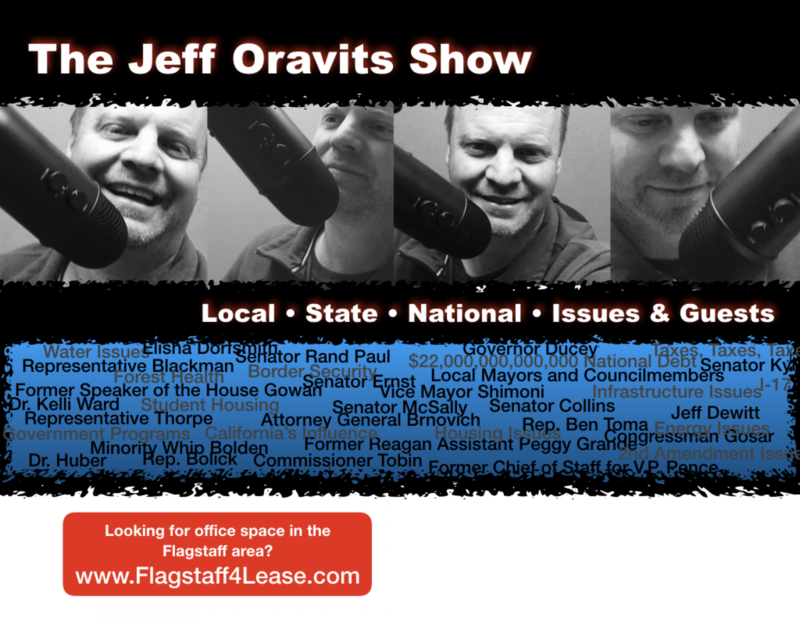 Former Flagstaff Mayor Jerry Nabours talks property rights, governments appetite for new tax sources (like food) and this weeks biggest winners and losers. Catch a news show Monday at 4PM. Don’t you just think it would be much easier if Ms. Cortez just left our country rather then changing our whole way of living????? If this is such a horrible country then leave!